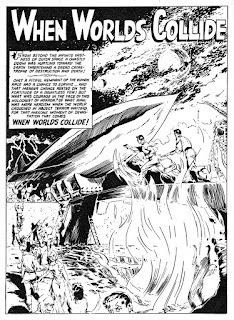 Number 2280: Goodbye to 2018, hello end of the world! 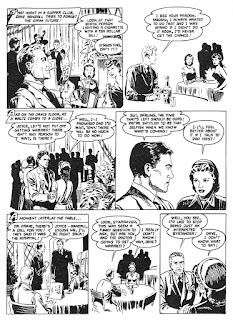 Saying goodbye and good riddance to the old year seems a way of shedding some problems, aggravation and depression over the way things have been for the past 12 months. 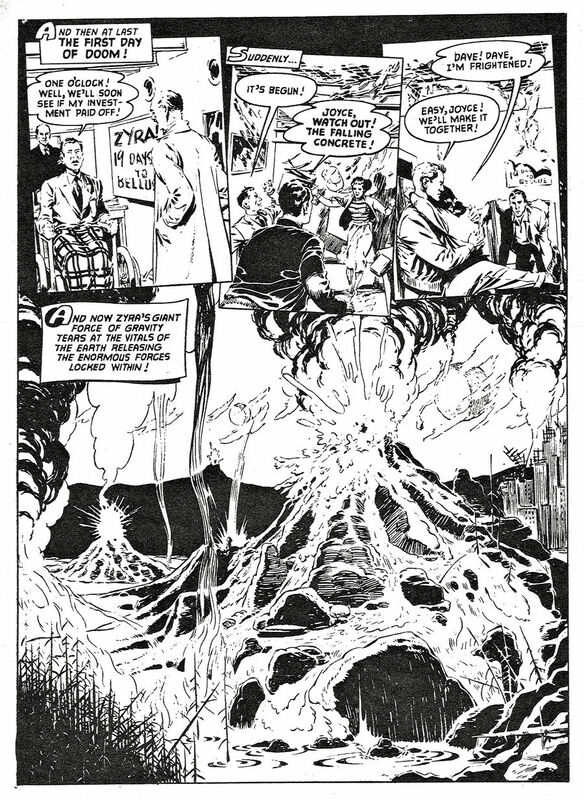 Now we start afresh with a new year, where the problems are all still there, and then more will undoubtedly pile on. 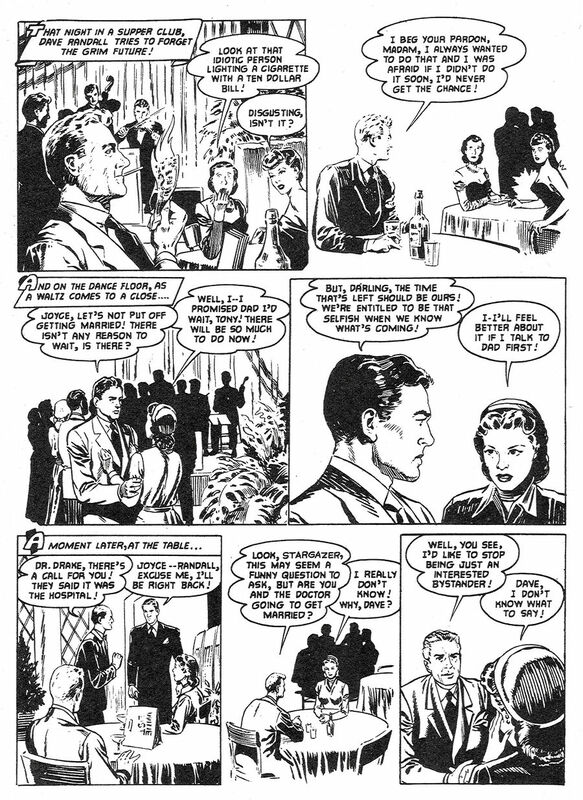 Wow, I am full of New Year cheer, aren’t I? 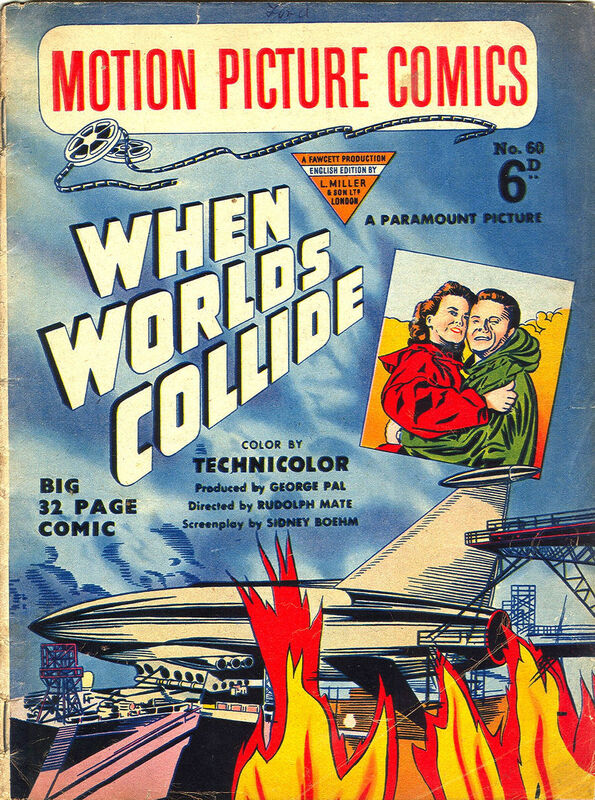 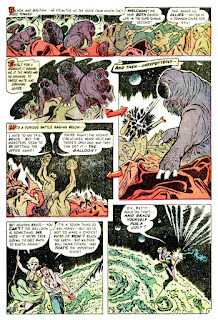 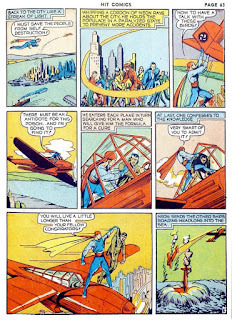 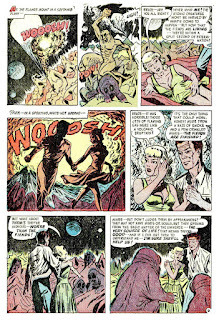 So much so I thought I would share this comic book adaptation of George Pal’s movie, When Worlds Collide, which is about the end of the world. I have not seen the movie, but I read the 1933 book of the same name by Philip Wylie and Edwin Balmer when I was 12. 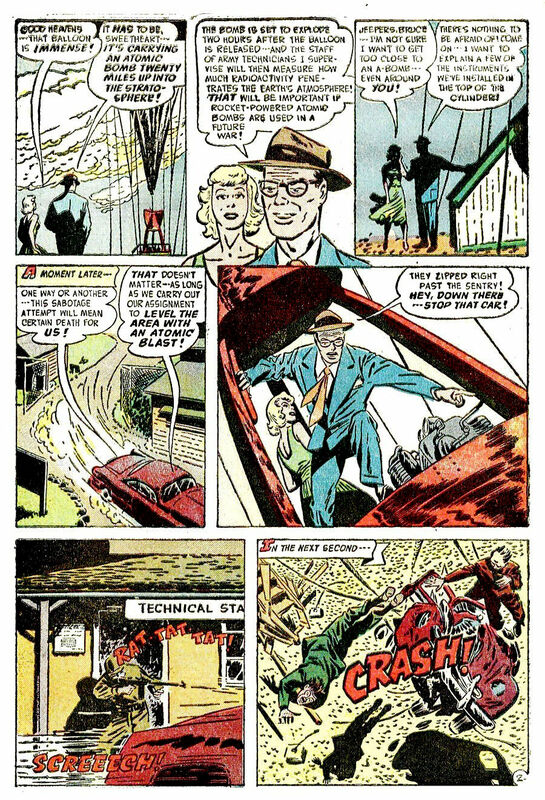 Until then my nightmares were about an atom bomb being dropped on my city. I might survive that, I thought. 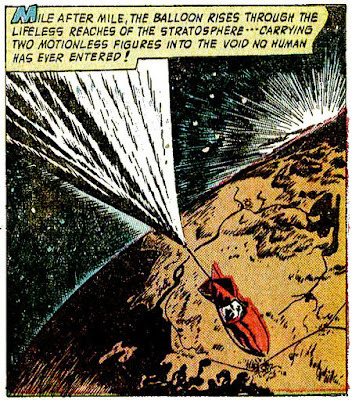 But this was about Earth being destroyed by another planet! 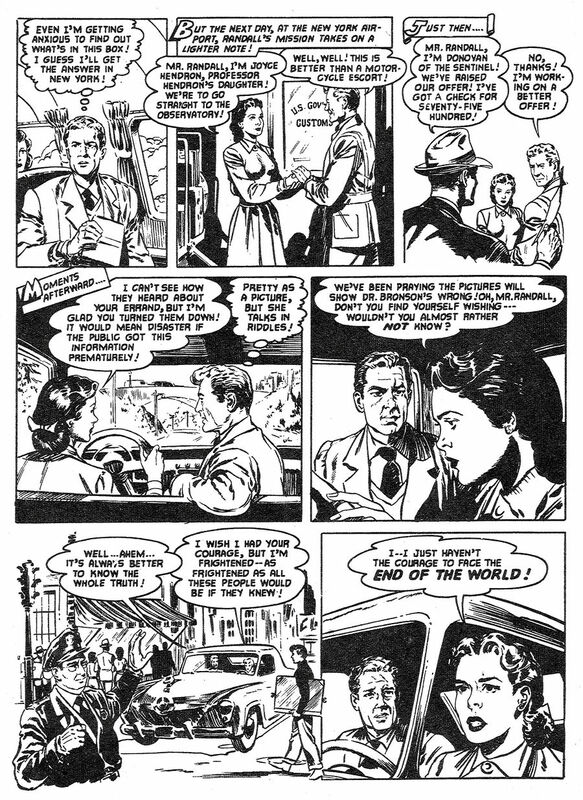 Wasn’t the threat of nuclear annihilation bad enough? 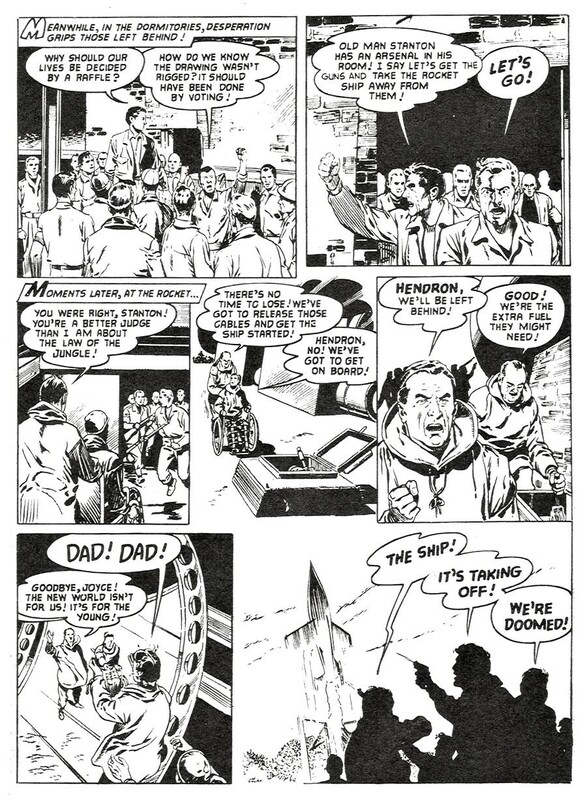 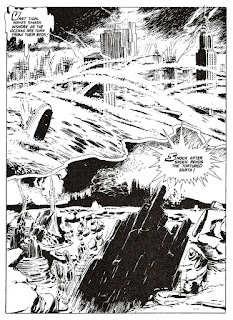 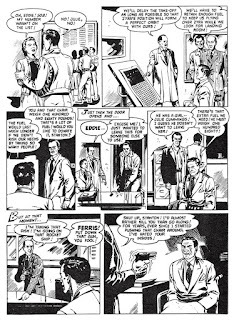 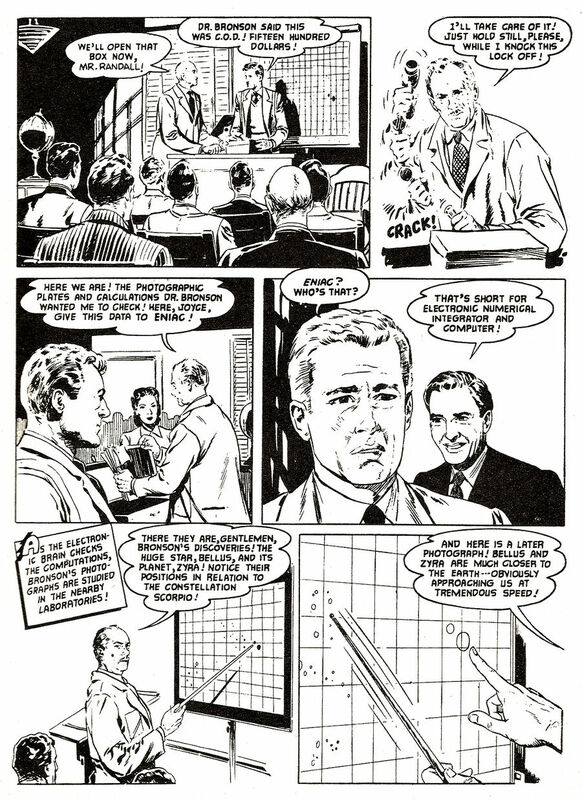 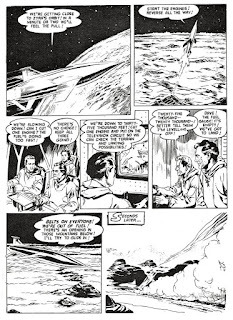 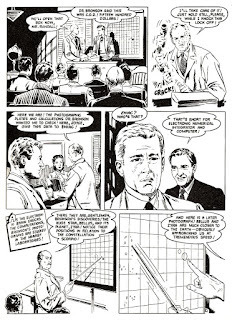 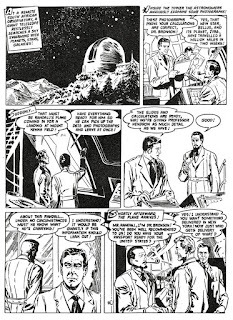 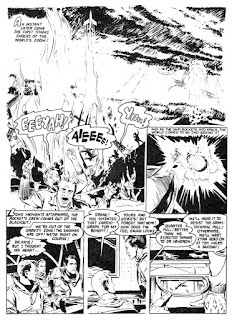 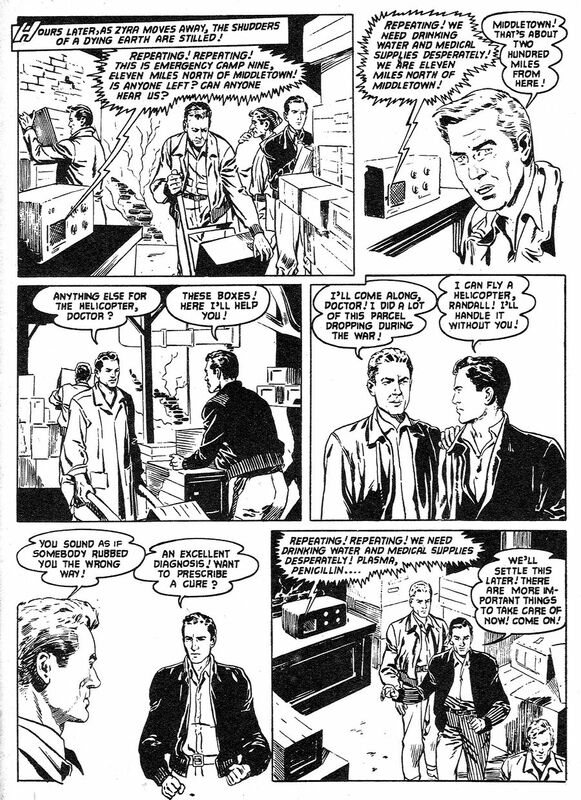 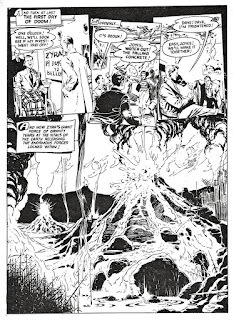 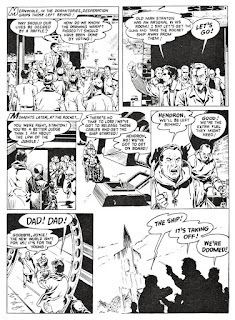 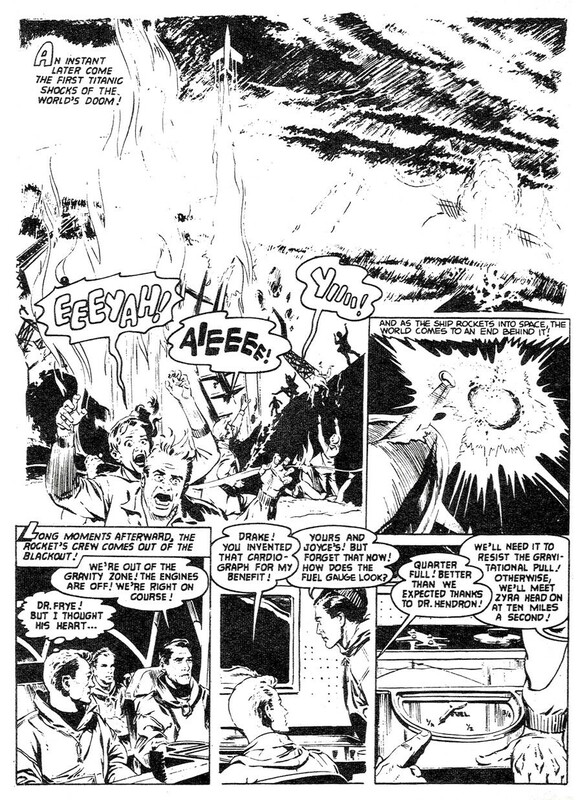 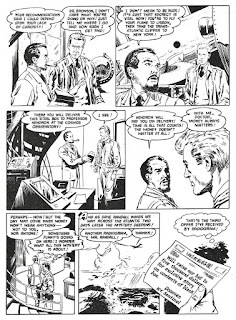 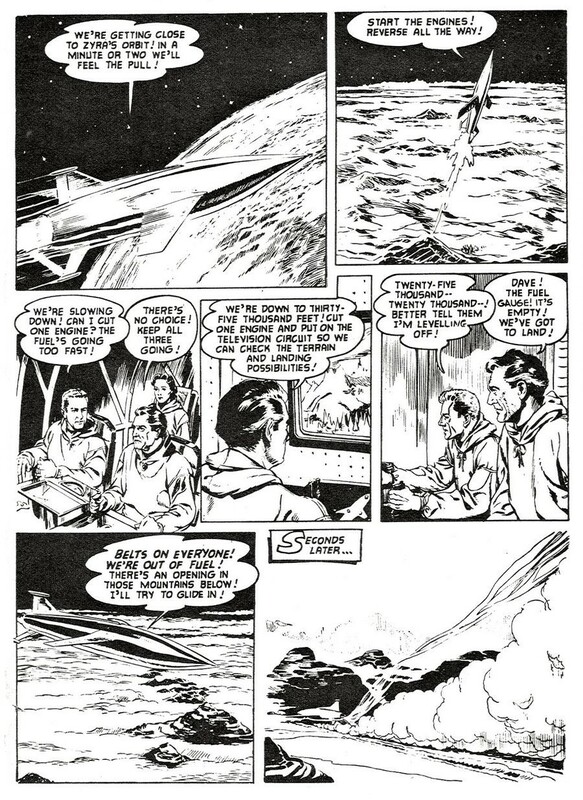 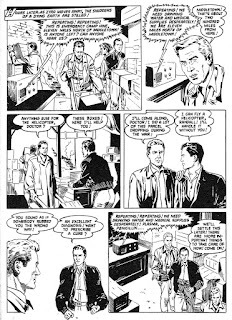 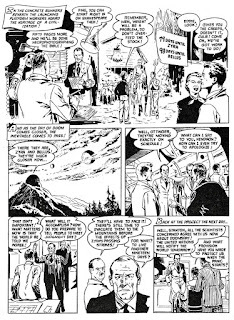 The comic book version of the movie adaptation is credited by the Grand Comics Database as written by Leo Dorfman, and drawn by George Evans, with a guess at inking by Al Williamson. 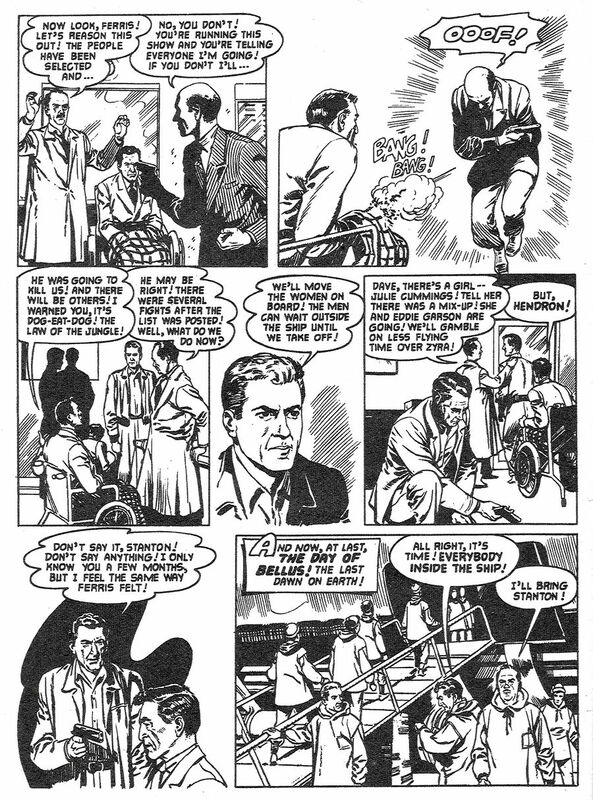 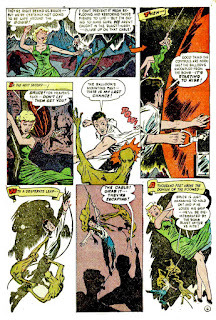 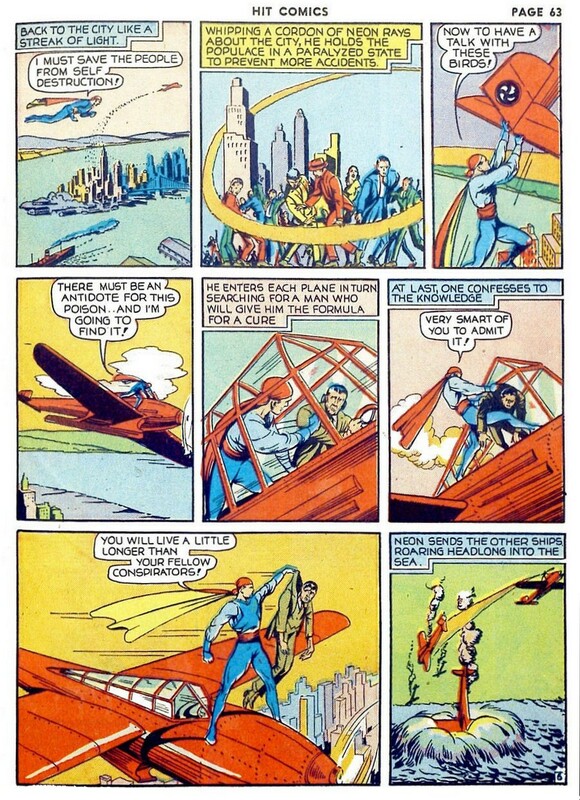 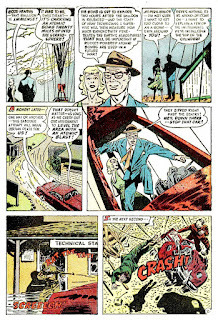 The original Fawcett Comics edition was Motion Picture Comics #110 (1952). What I am presenting is the UK version, published the same year by L. Miller. 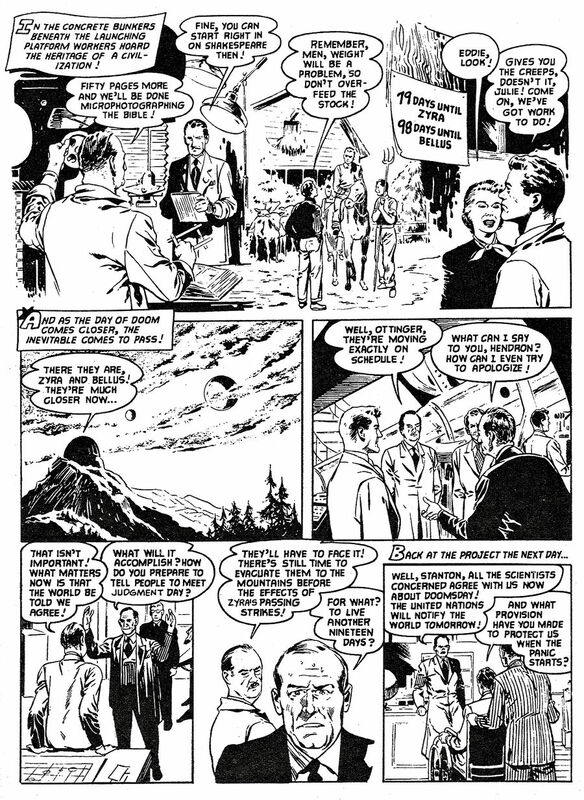 Number 2279: The Domain of the Doomed! 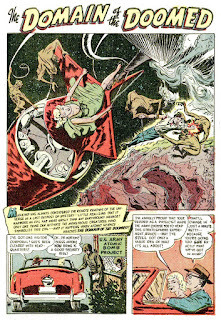 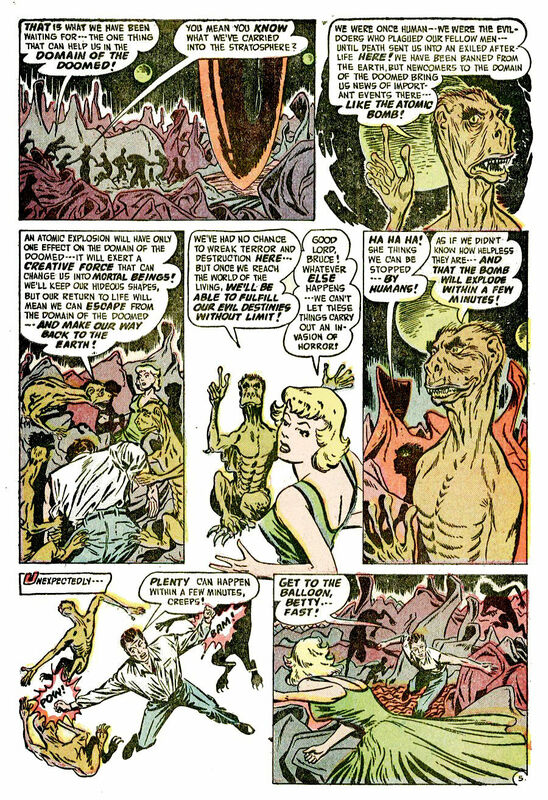 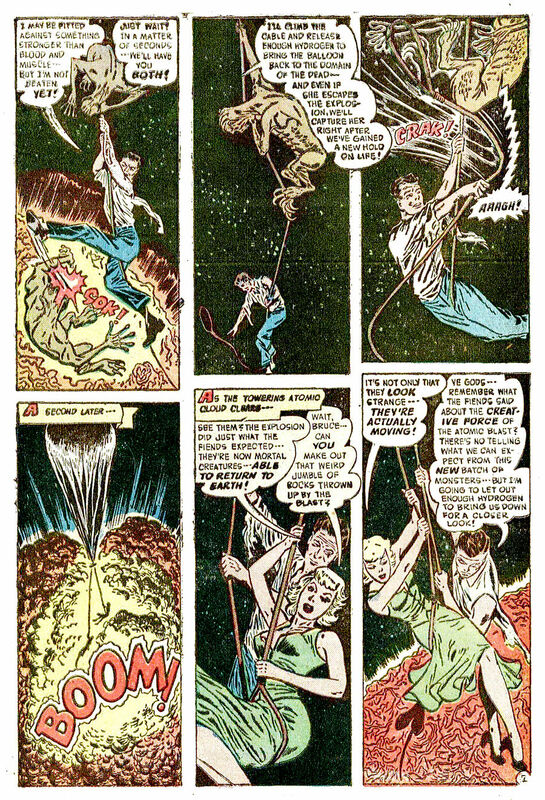 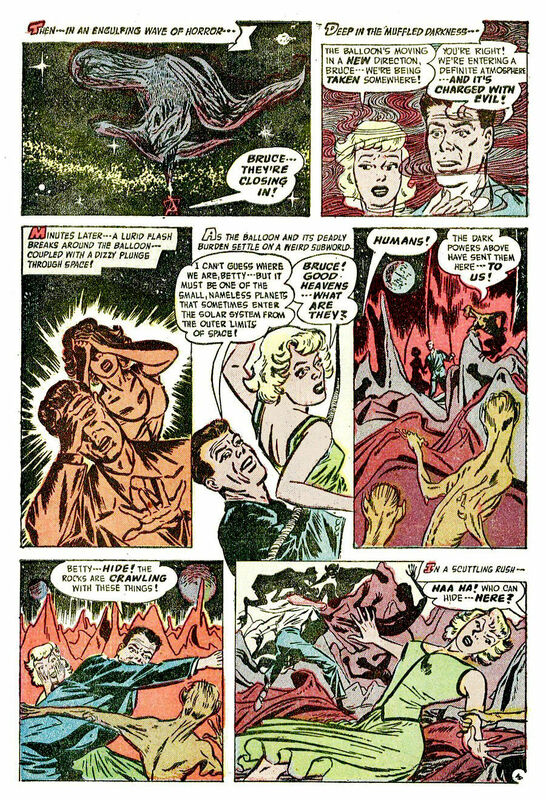 This ACG story, from Forbidden Worlds #3 (1951), boggles the mind. 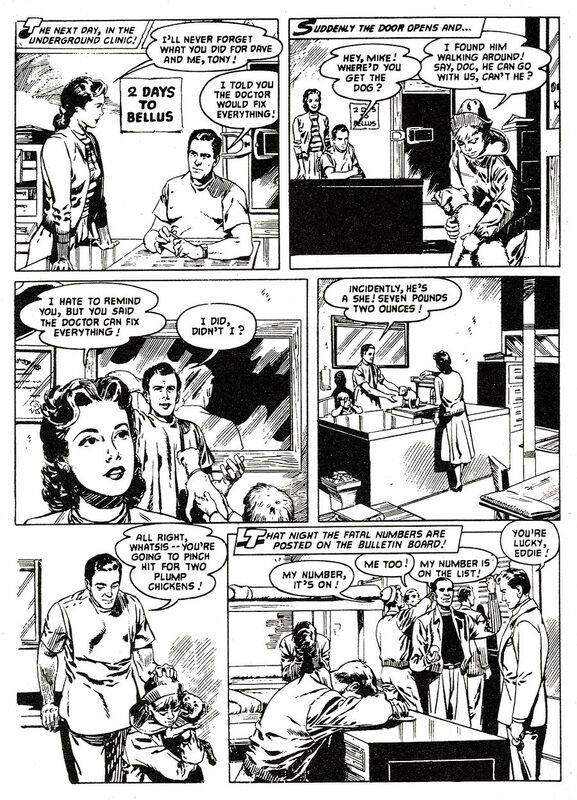 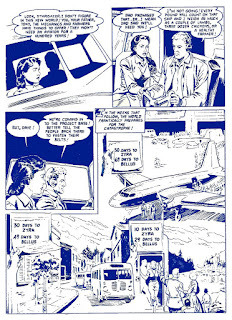 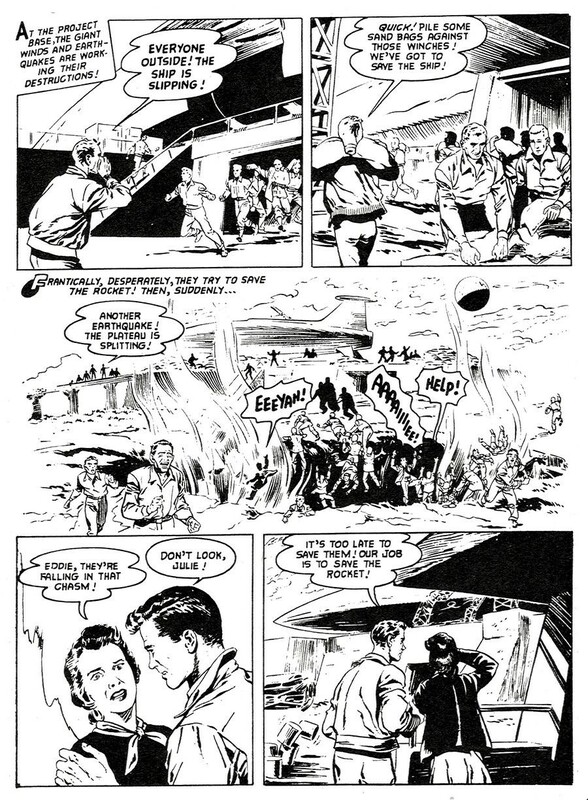 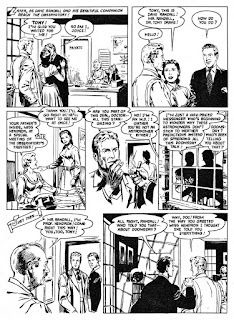 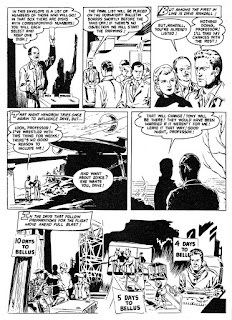 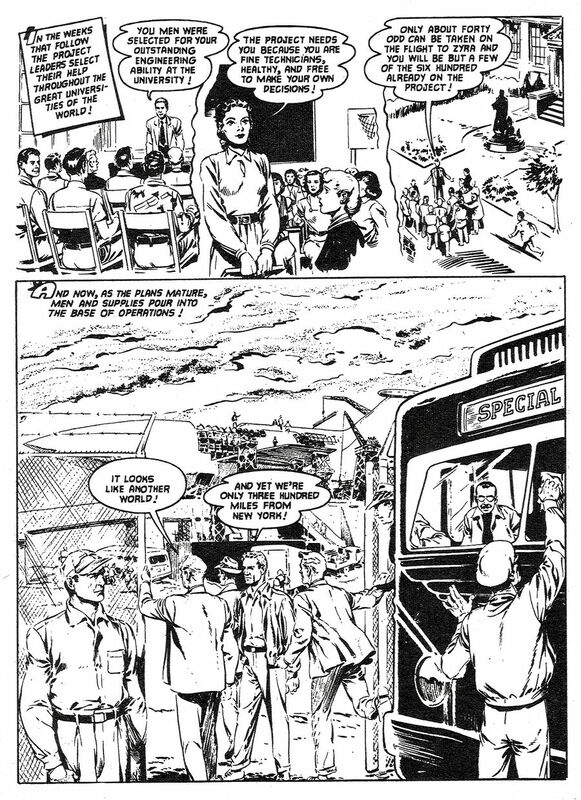 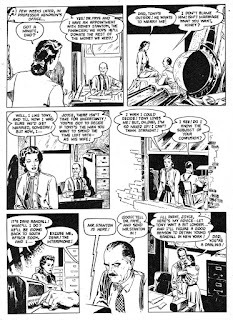 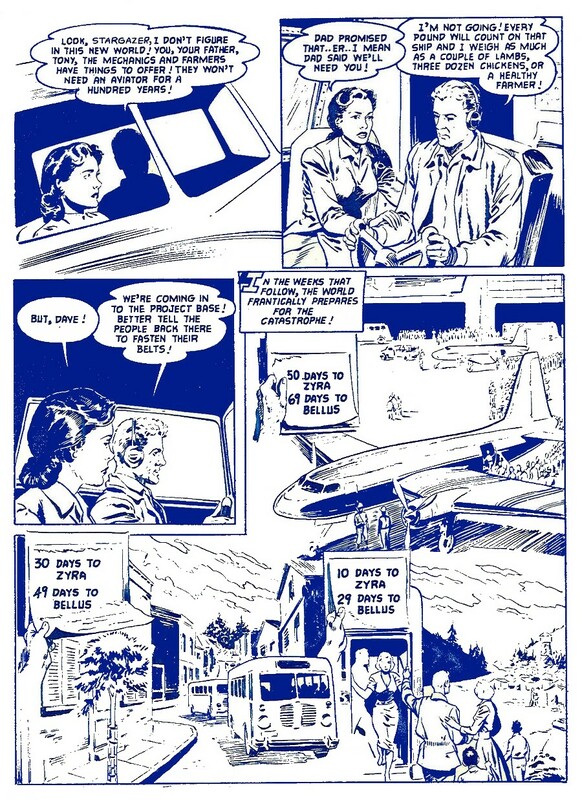 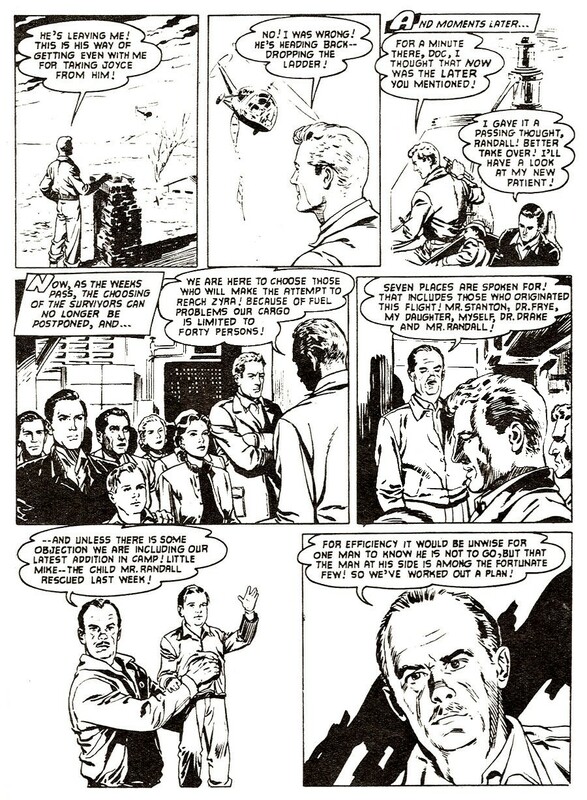 I could make a list of things that the characters do in this story that are screwy, but here are just a couple: Bruce Norton takes his girlfriend, Betty, to see an atomic bomb test, and she does not have to present any kind of pass, identification or secret clearance (page 1 ). Even though they have floated into the stratosphere with the balloon hoisting the bomb aloft, Bruce “knows” that they have “absorbed atomic rays from the fissionable material inside the bomb to enable us to withstand the extreme cold and lack of oxygen.” (Page 3.) 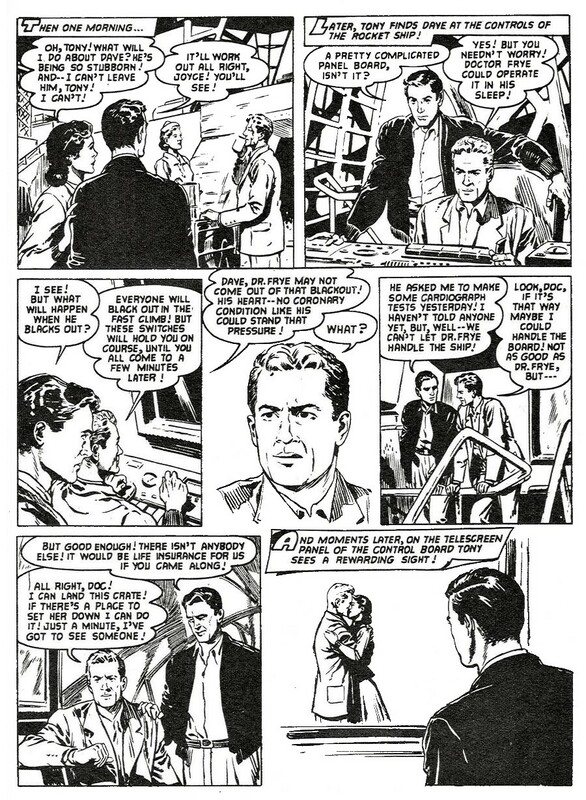 And that is just the first example of Bruce or another character “knowing” what is going on even though they are involved in extraordinary experiences no other human — or monster — has ever had. Ah, those ACG comic books. 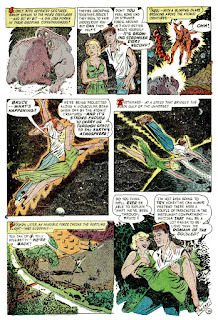 The stories, silly as they are I still love them. 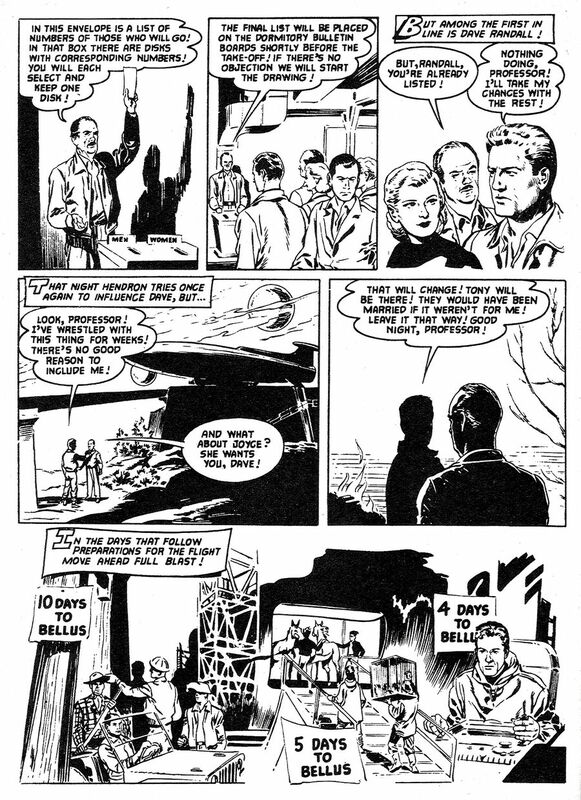 They unfold with nary a thought to how impossible they are to believe. 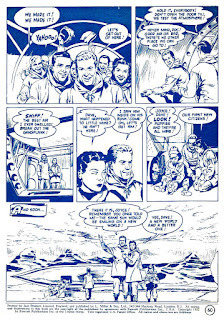 I am not sure of the writer, although I suspect editor Richard E. Hughes. 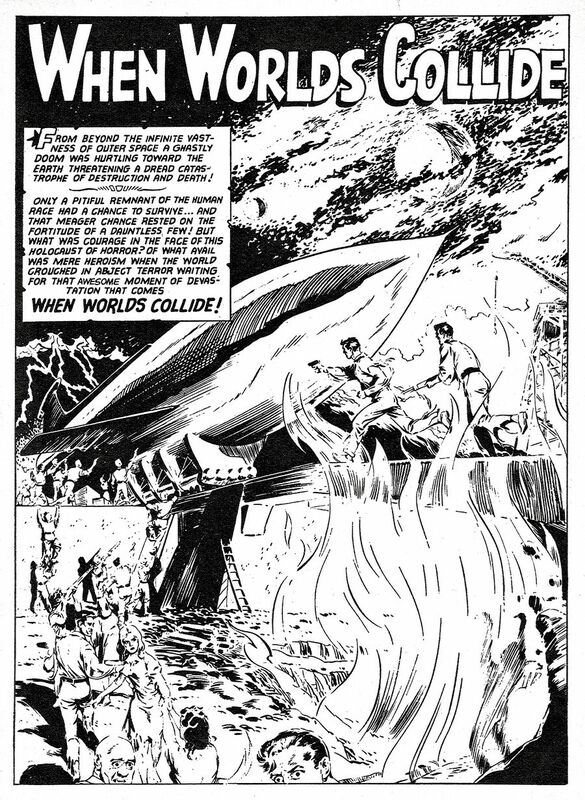 I have noticed ACG stories with an inevitable use of the expression “Ye gods!” which I always attribute to Hughes. Maybe someone more knowledgeable can tell me if I’m right. 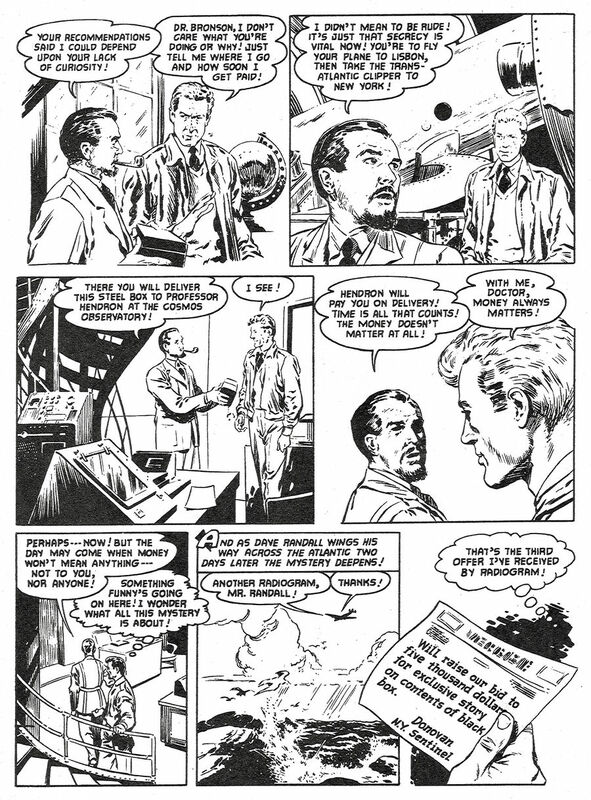 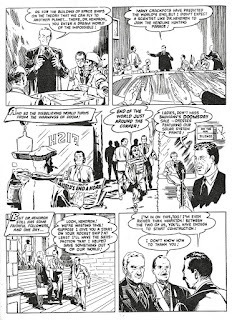 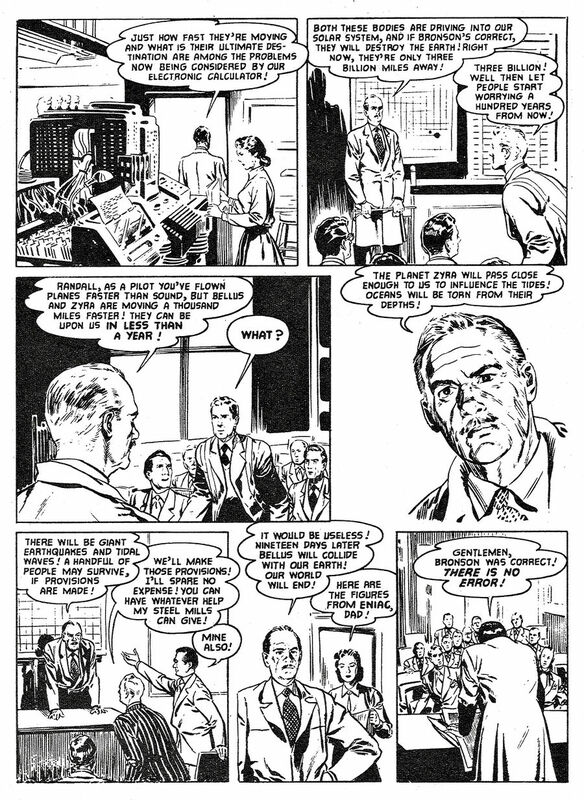 The Grand Comics Database says that King Ward did the artwork. 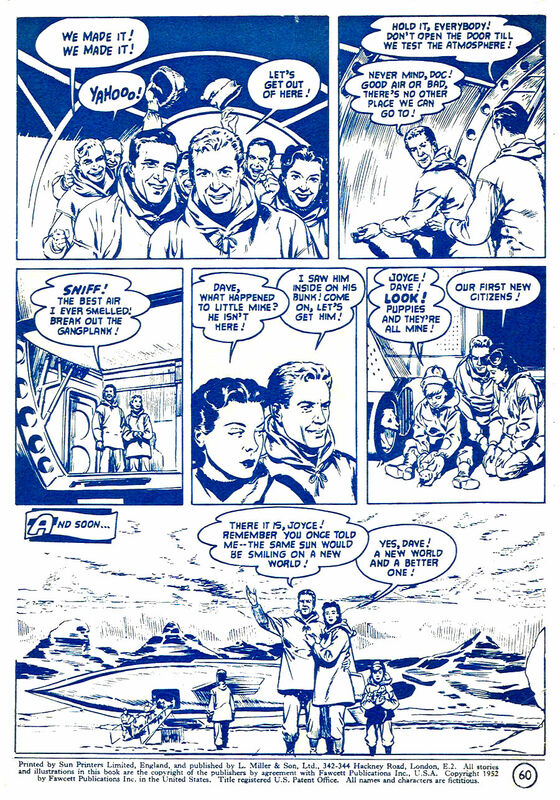 Did you survive Christmas? 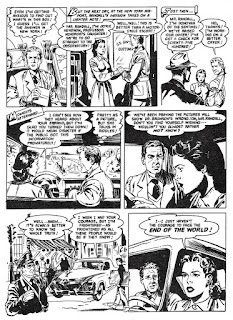 I got through another one, only slightly the worse for wear. 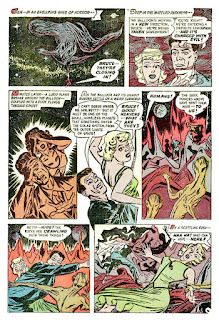 In case you need to be perked up after the holiday, I am here to jolt you with the wake-up colors of a Quality Comics story. 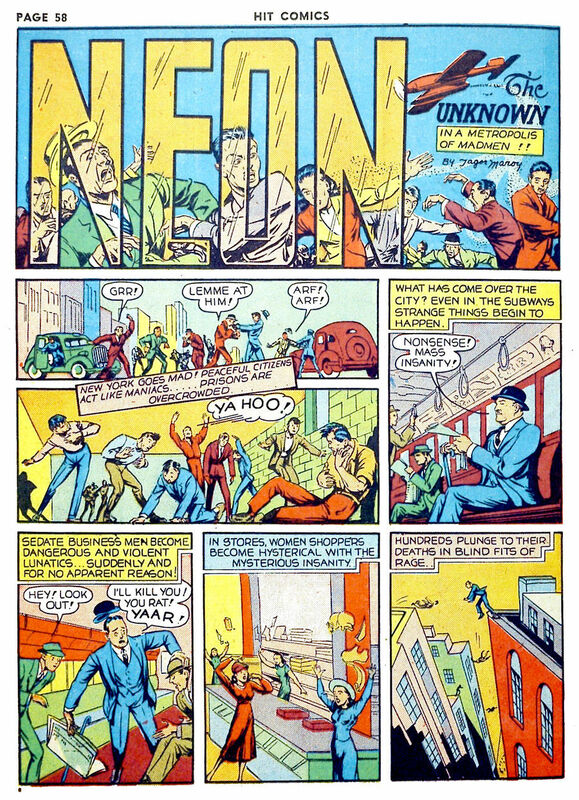 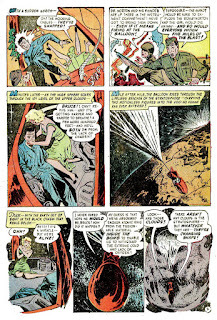 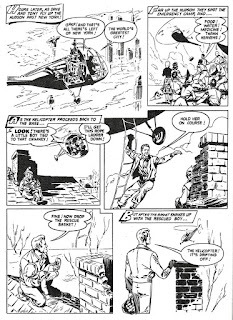 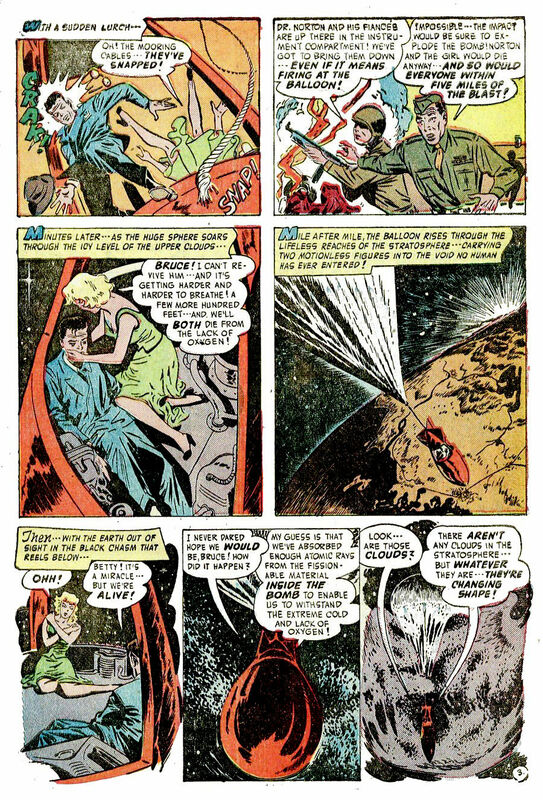 Looking at the origin story of Neon the Unknown, a character who appeared in Quality’s Hit Comics #'s 1-17, I see from the Public Domain Superheroes website that Tom Corbet (not to be confused with Tom Corbett, Space Cadet), was a member of the French Foreign Legion and the sole survivor of an attack on a local tribe. 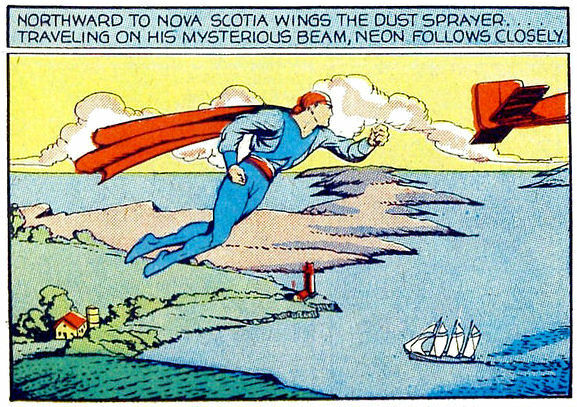 He drank from a mysterious pool which gave him super powers. 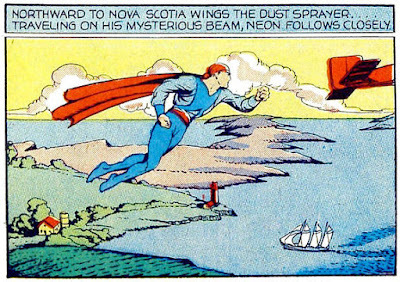 It is in those “neonic vapors,” and then Tom glows, can fly, and shoot energy bolts out of his hands. 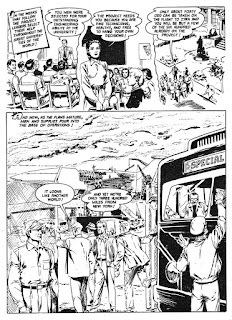 In this episode people are going mad, rioting in the streets. 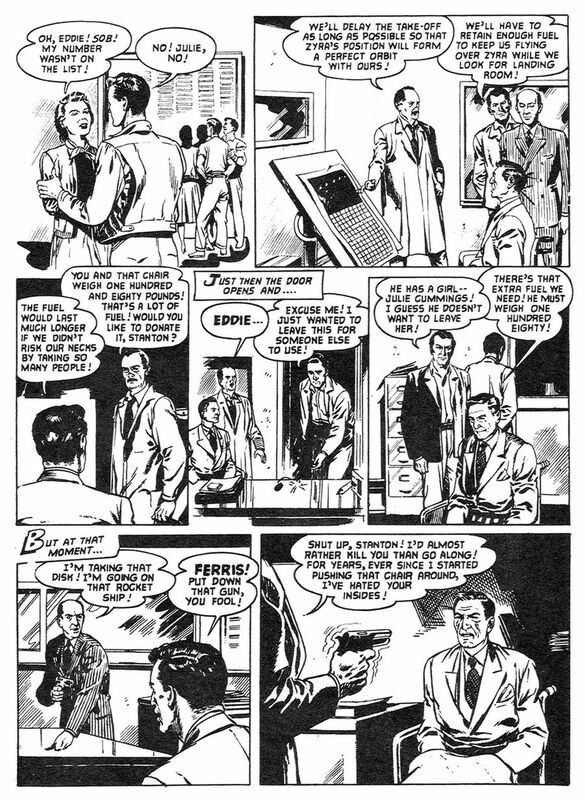 There is a powder collected by Neon, which he gives to his friend, the professor. 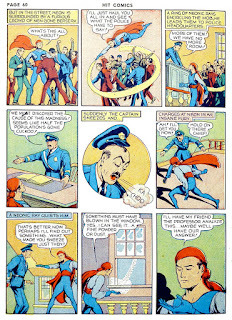 He is one of those comic book professors who can whip out a microscope and ascertain the powder “if breathed by men will drive them insane!” That is one talented professor; he doesn’t even need a laboratory to confirm it. 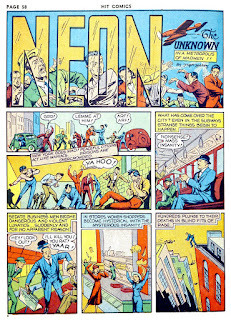 I don’t know what makes Neon Unknown, but it sounds mysterious, doesn’t it? 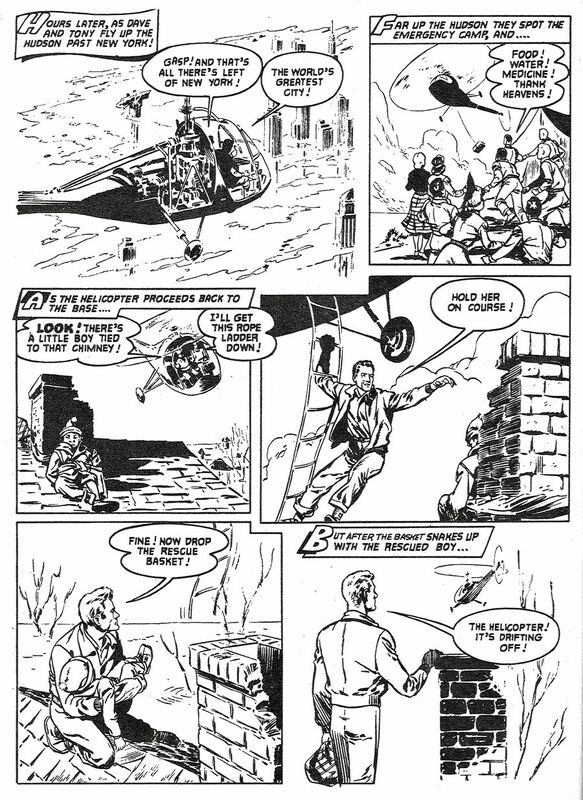 I also don’t know if he got a discharge from the French Foreign Legion, or if he is listed as a deserter. 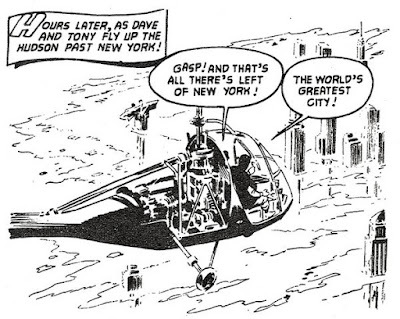 Jerry Iger is credited as creating him. 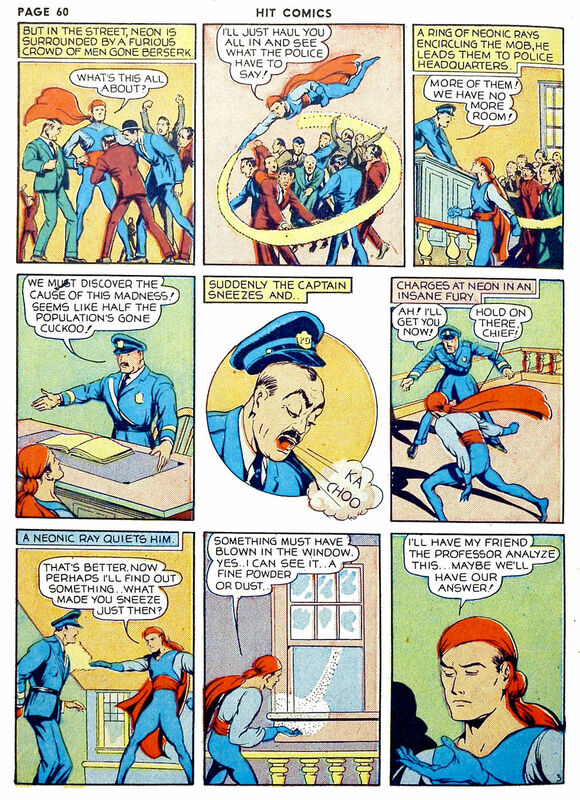 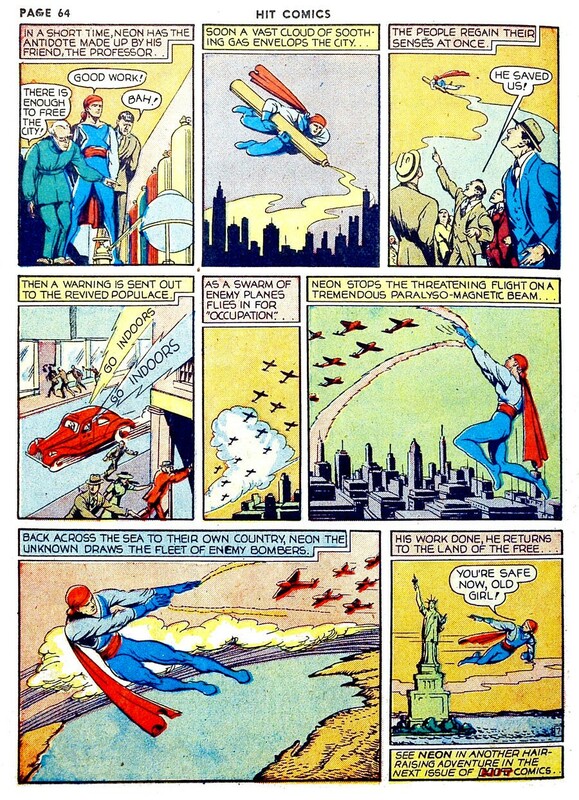 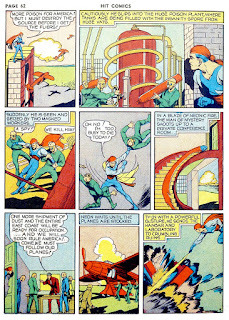 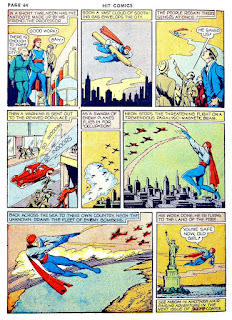 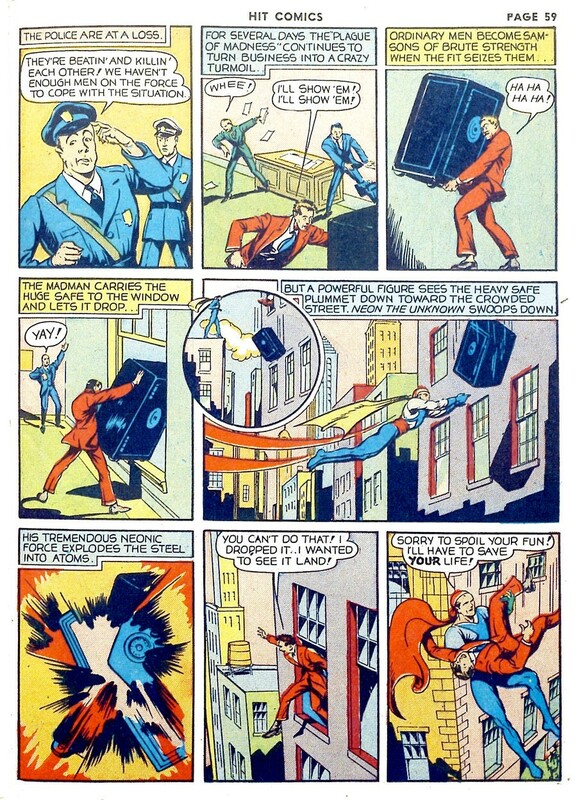 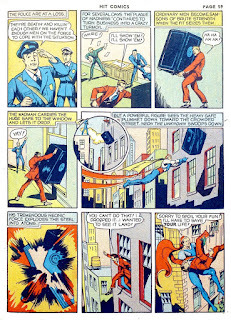 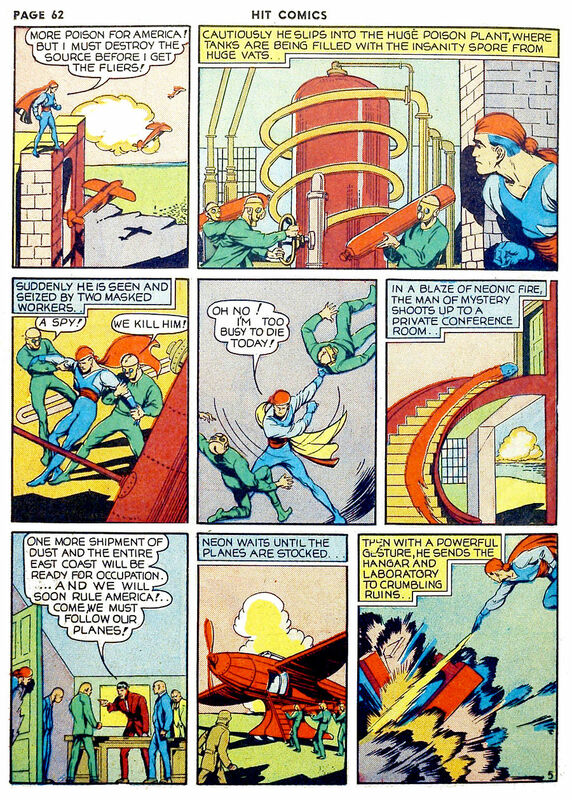 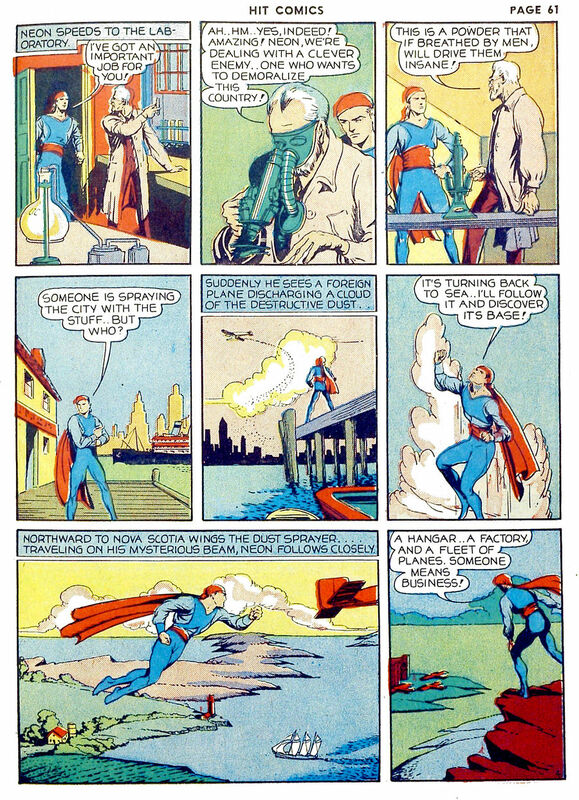 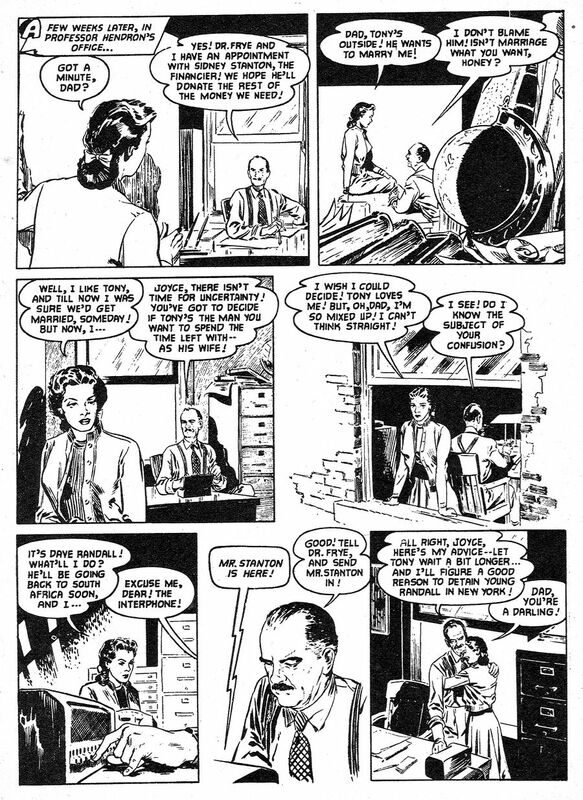 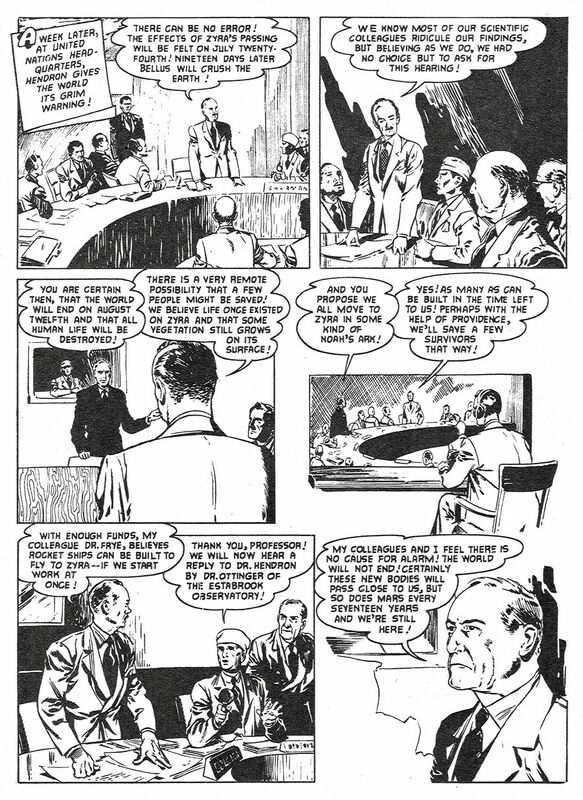 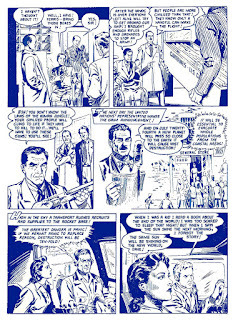 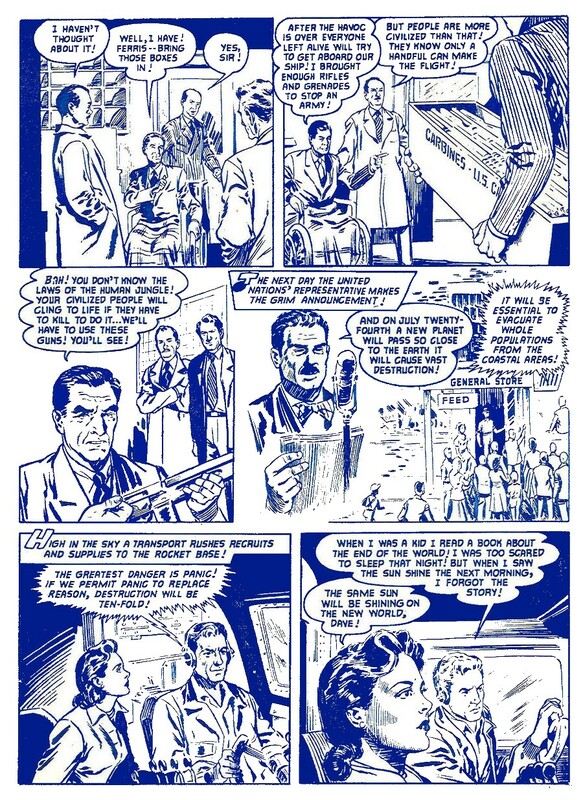 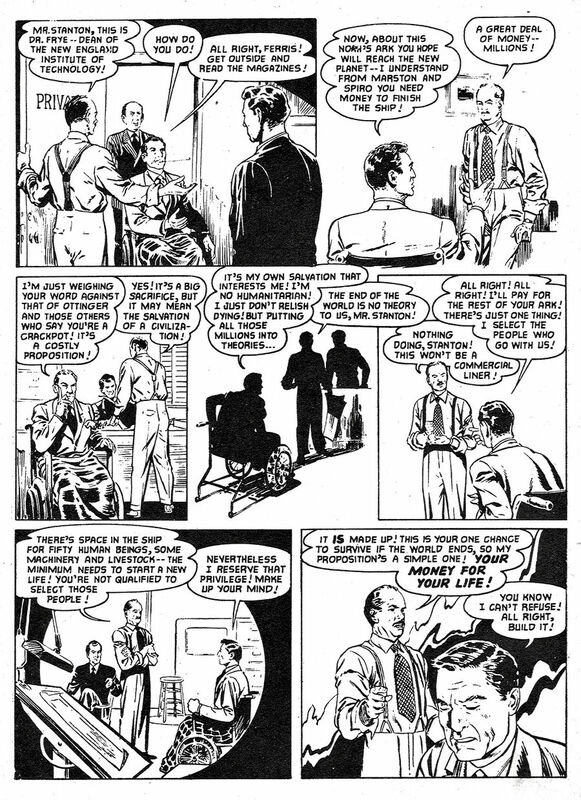 This episode, from Hit Comics #5 (1940), has Alex Blum with a question mark credited for the artwork by the Grand Comics Database. 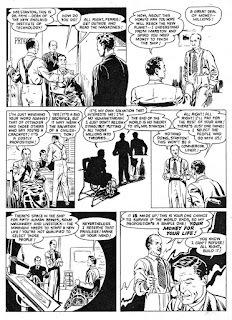 Blum is another of those old-timers (born in 1889) who went into comic books in their earliest days, when he joined the Eisner and Iger Studio. Number 2277: Christmas Eve Panic!